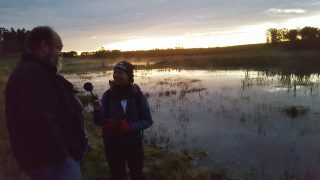 John Strand was interviewed in national radio on our work with wetlands in LIFE-Goodstream in September 2018. Peter och John visade Goodstream för vattenenheten på Jönköpings länsstyrelse i början på september. 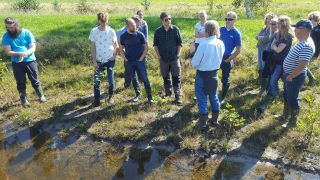 Peter and John demonstrated Goodstream to the waterunit of Jönköpings County Administration in the beginning of September. The project is co-financed by The Swedish Agency for Marine and Water Management by grant 1:12; Measures for marine and water environment.